The first thing that came to my mind when un-boxing the Fu Chai was “This thing is a beast!” Weighing in at half a pound, describing the Fu Chai as heavy duty feels like a bit of an understatement. The beautifully styled body is manufactured from high grade stainless steel and features elaborate Chinese engravings along the the sides that really add to the athletic appeal of the unit. I chose a the black finish, but it’s also available in brown (coffee), silver (stainless steel), copper, gun metal and dark blue. 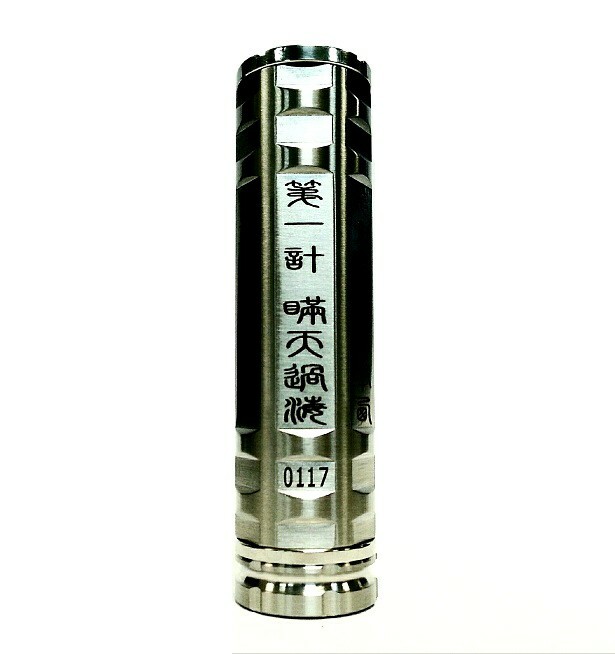 An engraved serial number also give this mod a high-brow sense of authenticity. As I happen to be a connoisseur of fine scotch, it really gave me that same feeling I get when cracking open a case of Blue Label. 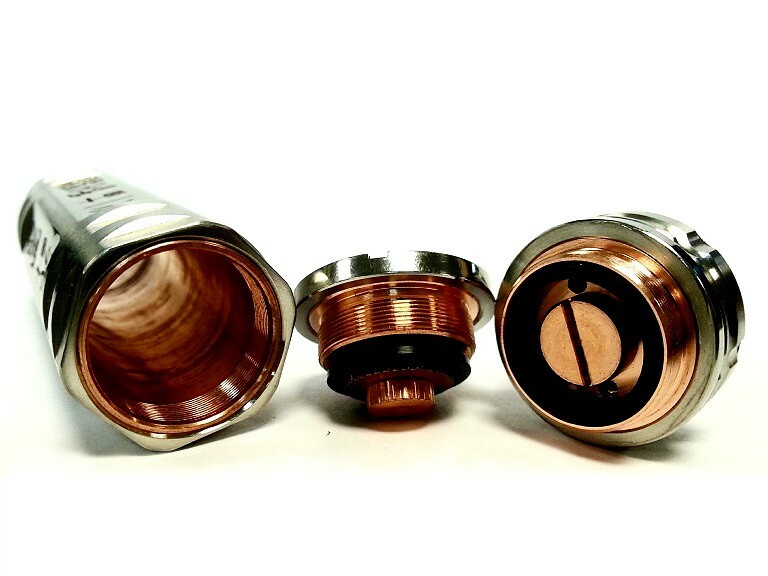 Unscrew the spring-loaded bottom switch and locking ring to reveal a 100% inner copper tube. 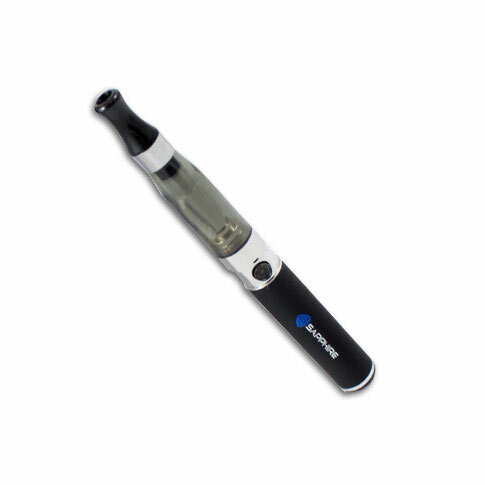 Utilizing copper threads and fully adjustable contacts, you’ll experience virtually no voltage drop and no annoying battery rattle with the Fu Chai. The recessed firing button with reverse locking mechanism is also a nice feature that will prevent inadvertent pocket firing. If this is your first mod, you’ll need to purchase some additional accessories to get up and running. As the Fu Chai is a standalone base unit, you’ll also need to choose an RDA (rebuildable dripping atomizer) or a standard e-juice tank. You’ll also need a battery as well as a charger. Whether you’re a seasoned vet and go with a true mod build (utilizing an RDA with DIY wire and wick such as the Fu Chai atomizer made specifically for this unit ) or if you’re just starting out and prefer a little less of a project (I’m a fan of the Kanger Protank 3 in this case), you’ll find yourself quickly getting lost in the soupy, dense clouds the Fu Chai consistently pumps out. Aside from the Fu Chai atomizer, Mephisto drip atomizers will also look and perform beautifully with this unit. Additionally, if you’re not into wrapping your own coils and prefer a standard tank atomizer, offerings from Clouper, VaporX, Viva Nova and Atmos are all 510 compatible. As far as batteries go, any 18650 Rechargeable Lithium Ion Battery (2500mAh) will be compatible. I chose the Samsung INR18650-25R, also known as the ‘Smurf’ in mech mod circles, due to it’s light blue sleeve. The LG 2.5mAh is another 18650 at the same price. You’ll also need to invest in a charger. I prefer the Nitecore Intellicharge (i2 or i4), as they seem to charge a bit faster than some others I’ve tried in the past. Lastly, it’s time to select your e-juice. 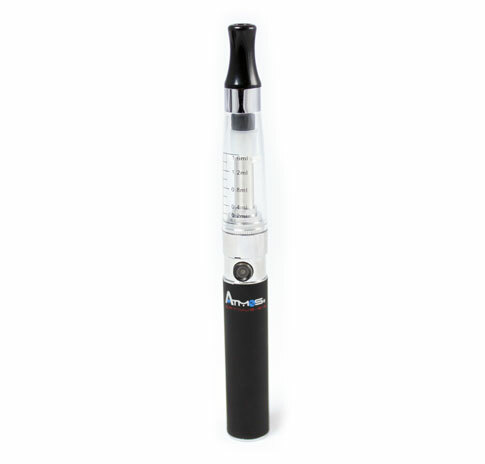 Nicotine levels typically range from 0mg-24mg. There’s no shortage of brands/flavors/varieties to choose from, however, let me take this opportunity to commend MNG, as I’ve found their ‘Banana Nut Bread’ e-juice to be top draw time and time again. For advanced users looking for a true Mod experience, you’ll need to wrap your own coils and fabricate your own wicks. Kanthal A1 Wire seems to be the standard due to its high max temperature threshold. Gauge preference varies amongst users, however, I’ve found AWG 26 and AWG 28 to be the most commonly used. I’m still not entirely clear on all the technical aspects and basically went on the recommendation of the gentleman at the vapor bar near my house. When it comes to choosing your wick material, I’ve found Japanese Organic Cotton to be the most widely used, as they come in interwoven sheets and are very easy to work with. After some careful deliberation, I decided to go with The Fu Chai RDA. After getting a friend to help me wrap the coils and set the cotton into place, I was finally ready to Mod! Good things really do come to those who wait. The experience you get when using a custom Mod is unlike that of any other. You you can actually hear the slight singeing of cotton as the unit pumps out super-massive clouds. I love seeing heads turn and eyes widen when I’m out and about taking GARGANTUAN rips from my Fu Chai. It’s especially satisfying knowing that with every massive cloud produced helps to raise awareness for this relatively new movement in vaporizing. I will say this: these units are not for everyone. I found myself having to switch to a lower nicotine level e-juice due to the fact that with an RDA, the clouds are much more intense than that of a standard tank. 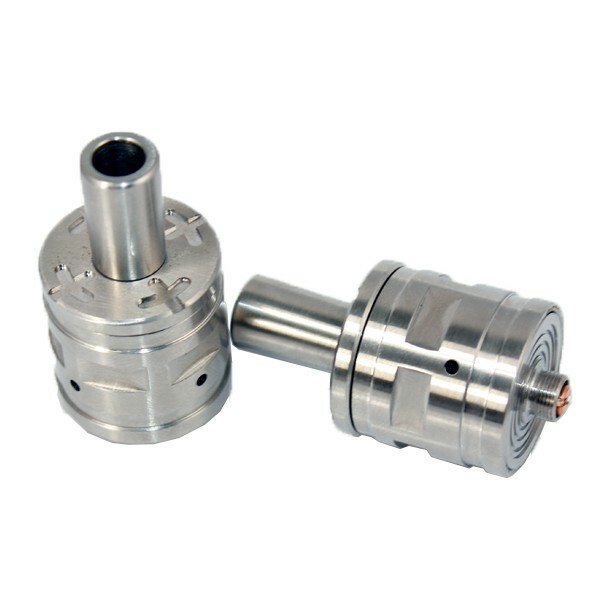 The whole process of building your own drip atomizer is a lot to take in as well. Some people simply won’t be interested or care enough to do so. However, once you see a true mech mod in action, it’s hard not to get excited and want to build one of your own. This mod has it all. 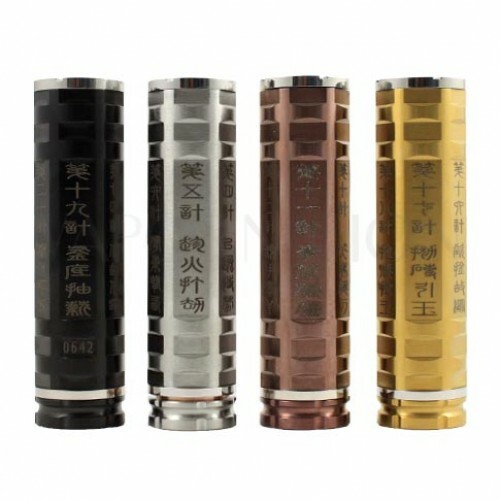 Exceptional functionally coupled with exquisite artistry, the Sigelei Fu Chai isn’t just a mechanical mod, it’s a conversation piece. 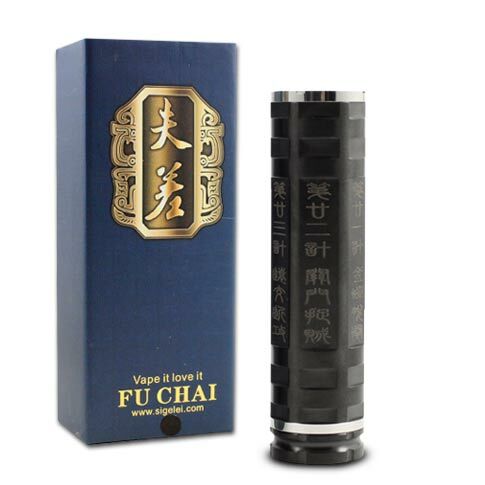 As mods are getting more and more popular, manufacturers are realizing simplistic ‘tube’ and ‘box’ designs of the past won’t be able to compete with uber-stylish models such as the Fu Chai.